Was born in Hove and studied at the Brighton School of Art. He mainly worked in advertising for many clients via London agencies. He also did plant and wildlife studies and painted local Brighton scenes. 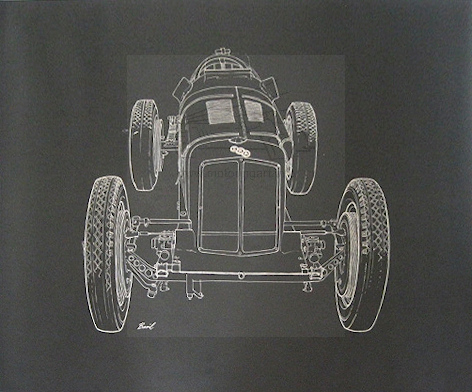 He Illustrated the book ‘Graham Hills Motor Racing Book’, most of the works just signed Basil. 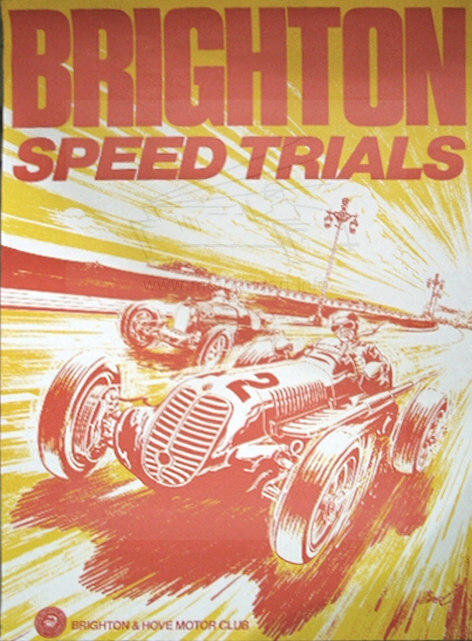 Another example of his work signed Basil is this ‘blank’ for the Brighton Speed Trials. This blank would be overprinted with the dates of that years event. Died in Brighton on 6th February 2010.